Each week in Music Together® Mixed-Age Classes at Pitter Patter Music Together, babies, toddlers, preschoolers, and the grownups who love them gather for 45 minutes of fun-filled family music time. 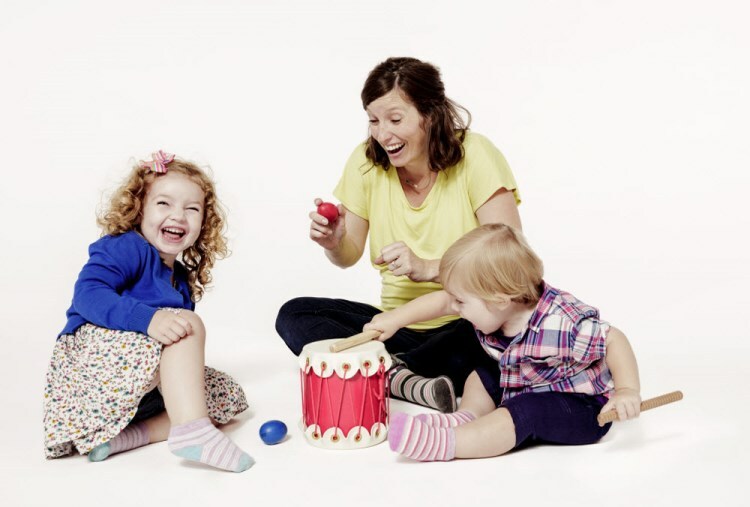 Your teacher will lead you and the other families in music activities ranging from lullabies to full-on jam sessions (with child-friendly instruments, of course!). It's so much fun you won't realise how much learning is taking place! Children learn through play. And playing with music is our JAM! You'll take home the award-winning music used in class, along with an illustrated songbook and other resources. As you discover new ways to play with music all week long, you'll be supporting your child's music-learning and overall development - even if you don't think of yourself as a great singer or dancer. 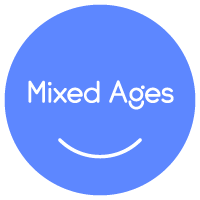 Child development researchers discovered that grouping children of different ages in one class encourages natural, family-style learning, so Music together developed the Mixed-Age Music Class. In this class, everyone participates at their own levels: babies vocalise, listen, and observe; toddlers play and experiment; and preschoolers build confidence as they emerge as classroom leaders. Grownups are happy because everyone can come to class together! The hallmark of the Music Together program, our Mixed-age Class gives children from birth to age 5, the environment they need to grow musically while interacting both socially and musically with peers of different ages. Younger children enjoy watching and imitating older ones; older children learn by leading younger ones; and adults are happy because their children can go to class together. And any or all of your child's caregivers - parents, grandparents, nannies - can come share in the experience. The whole family is welcome! My husband teases me because whenever I mention Music Together to anyone he always pipes up my next line, which is “best money we ever spent.” I truly mean it. Kudos to Ken and Lilli for a program that outshines any other I have seen around and these days there are many of them. "I have been attending Rachel's Music Together classes with my daughter for two years. We both enjoy the variety of music, movement, activities, instruments and other resources used in class. Most of all we love Rachel - she is a warm, gentle and inspiring teacher who radiates a love for all things music. Highly recommended!"